Not surprising at all. Kotak is giving 6% on Savings a/cs – 200bps higher than others. Yes Bank is also giving 6% on Savings a/c. 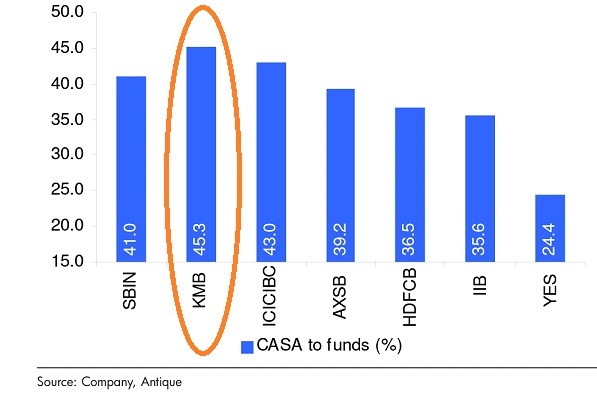 Surprising to see the gap between KMB and HDFC Bank and Yes Bank.